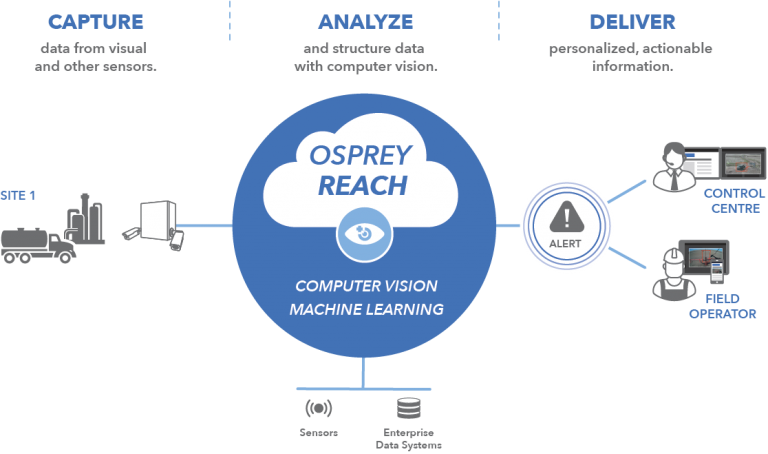 Osprey Reach is the enterprise visual monitoring solution for exception-based management of field operations, assets, and facilities. 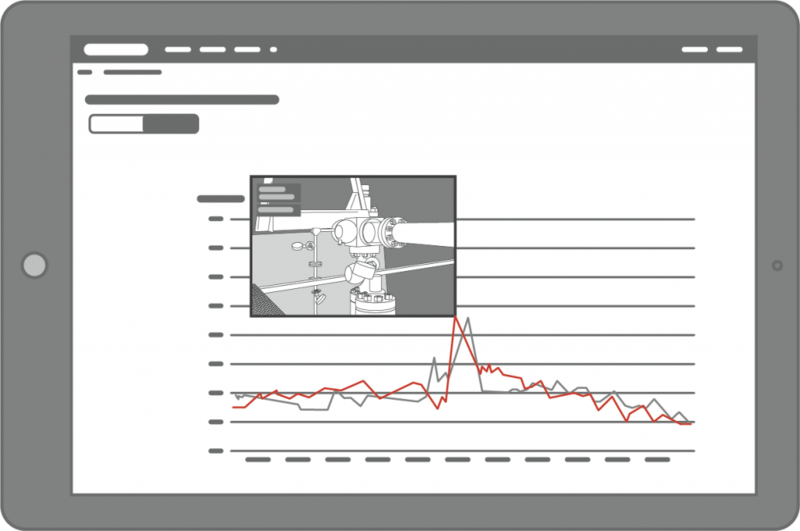 Get actionable computer vision-based visual alerts based on what matters to you. 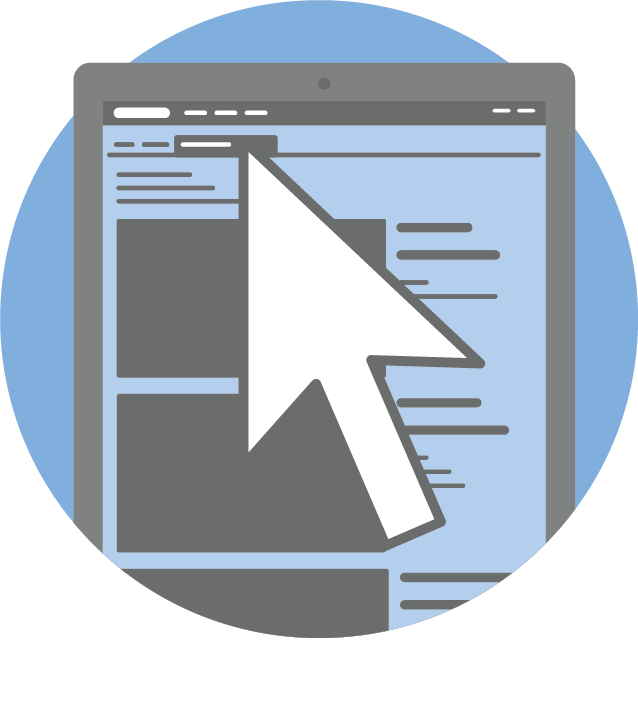 Choose event type, sites and schedule, and update your alerts anytime. 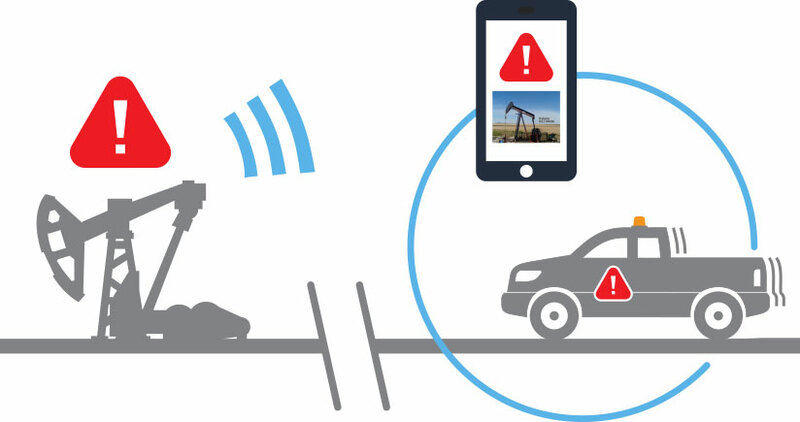 Alerts can include vehicle and people detection, equipment status, leaks/emissions, or from non-visual sensor data. 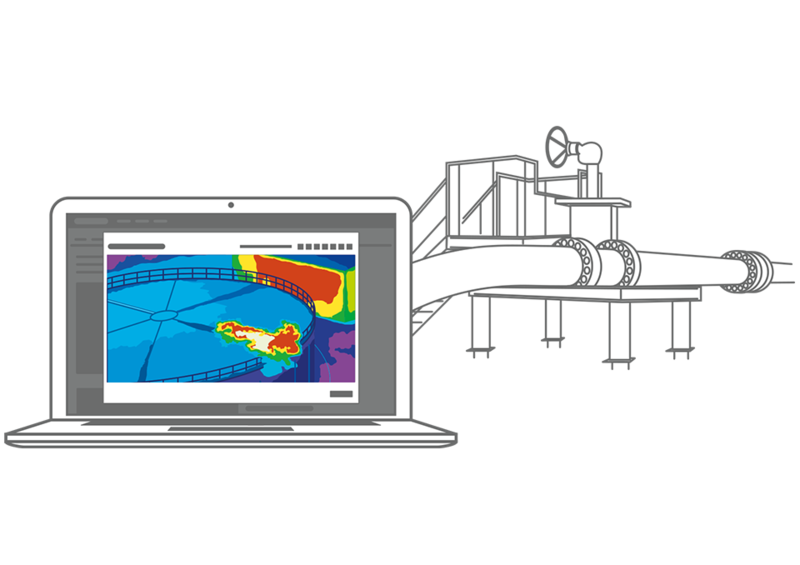 Combine data from SCADA and other systems with easy access to live and historical imagery for alarm validation and enhanced situational awareness. Access key visual information over an efficient web interface over any computer or mobile device. Unlimited users. Role-based alerts and reporting. Cover all your assets with one visual solution. 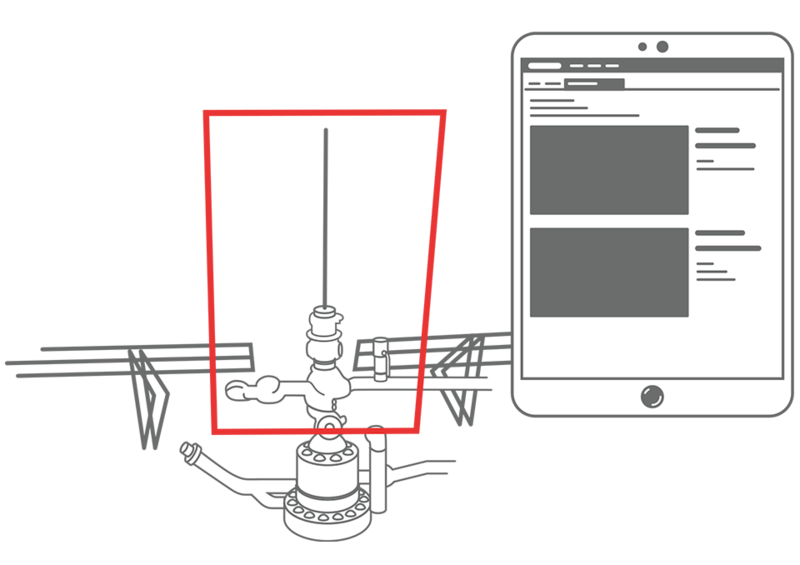 Designed for remote sites and IoT integration, Osprey Reach is extremely bandwidth-efficient and engineered for cellular deployments. Get started quickly and without the hassle of traditional video surveillance systems. 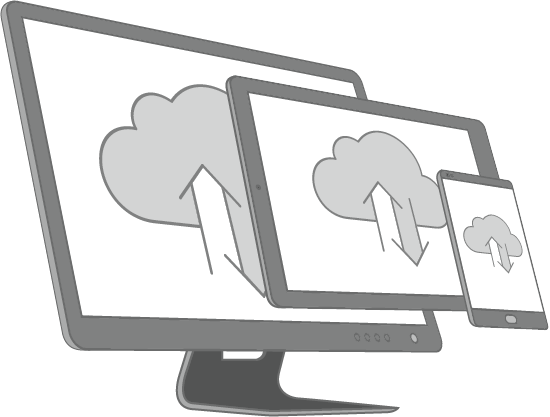 Cloud solution – No software to install. Deployed as a managed service, outside of corporate IT infrastructure. How can Osprey Reach help your operations? Osprey Reach operates independently of the corporate network, there’s no software to install, and it scales easily. 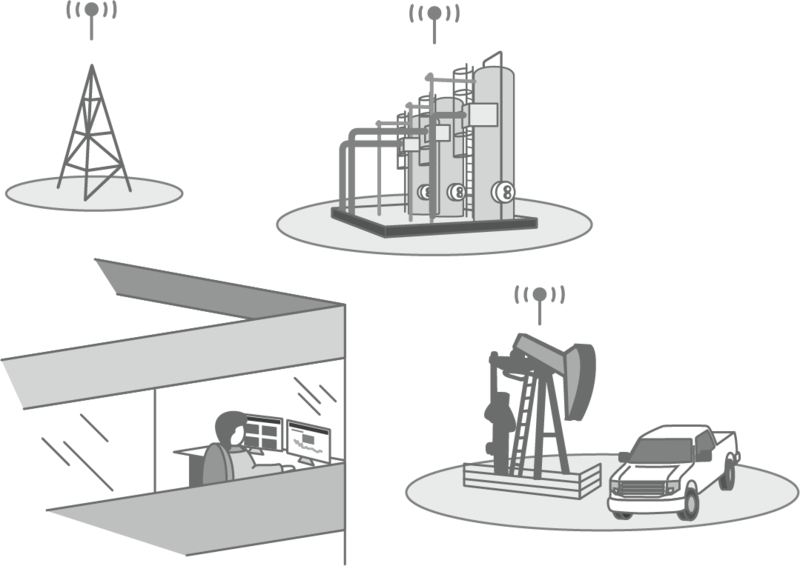 With a standards-based API, Osprey Reach connects with industrial data systems such as SCADA and IoT platforms for alarm validation and situational awareness. Osprey Reach combines video analytics, proprietary computer vision and sensor/system data for unmatched accuracy and relevance. For staffed sites and facilities, Osprey Reach enables the streaming of live feeds from all cameras over a local network. 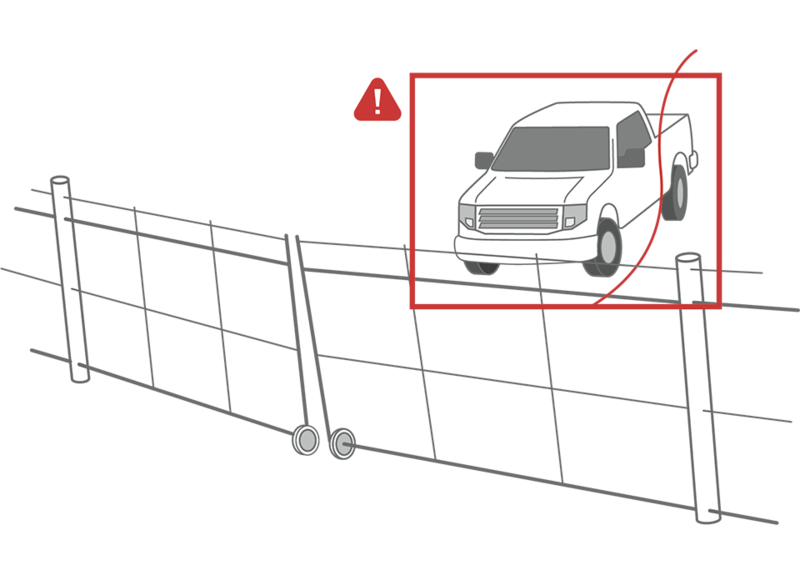 Osprey Reach includes remote device health monitoring for reliability, and cameras are configured and serviced online. Osprey Reach connects to a wide range of cameras, including thermal and infrared. Osprey can also turn legacy cameras into intelligent devices by connecting them to Osprey Reach. See Osprey Reach in Action! Contact us to arrange a live demo. Contact us to arrange a 10-minute online demo. So honored to be a finalist for the Energy Excellence Award in the category of Innovation & Research Excellence: Digital Oilfield alongside @OspreyCA, @pandellcorp, @Guild_One_Inc, and Hifi Engineering. Thank you!